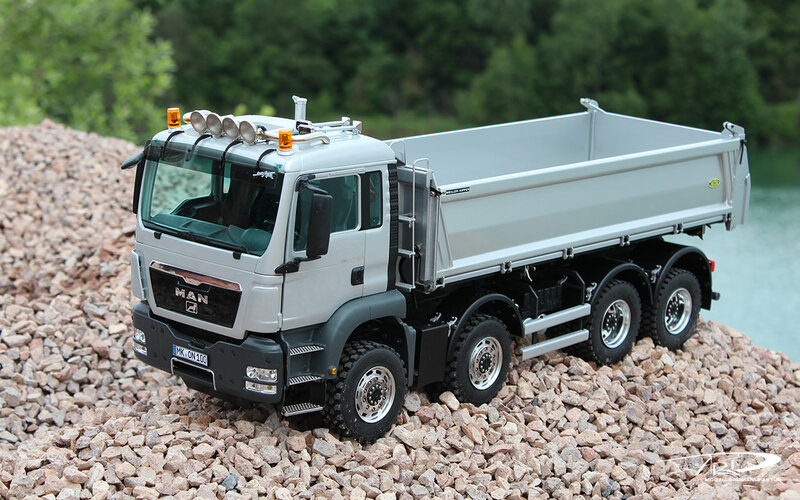 Our three-way tippers are perfect craftsmanship when it comes to transport models by ScaleART Model Manufactory. 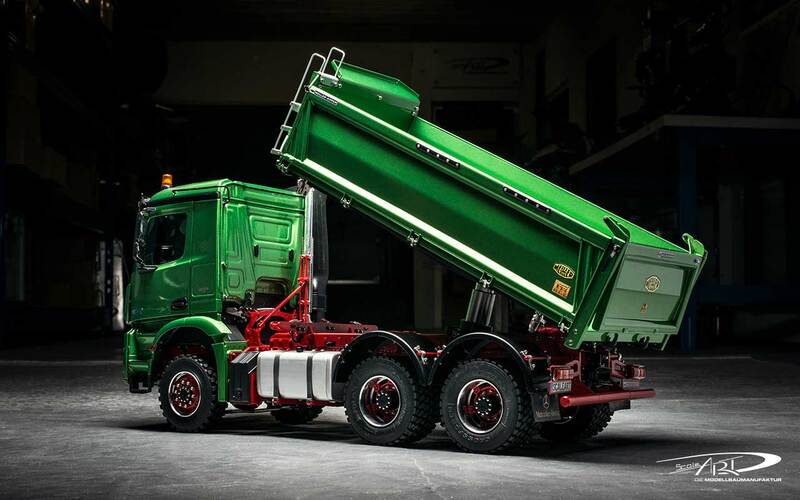 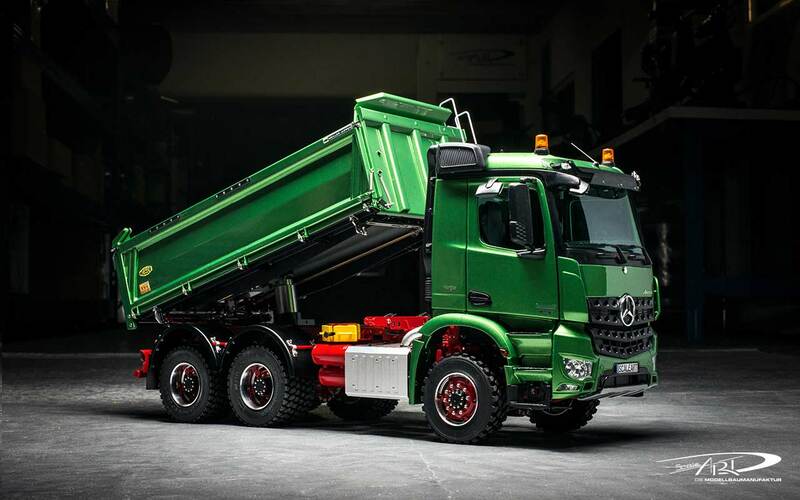 Based on the original construction plans of our licensed partner Meiller, the tipper was designed with a remarkable transport volume and what’s more, it shines with an outstanding hydraulic system. The hydraulic pump with a pressure of approx. 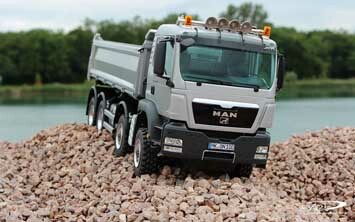 15 bar is able to remove rubble from any model construction site. 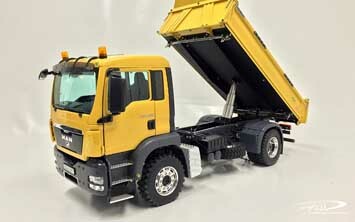 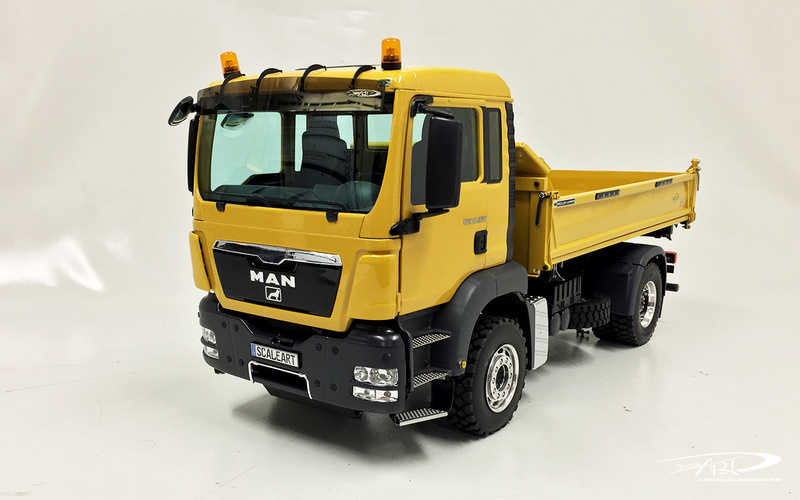 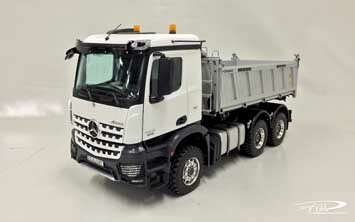 The entire tipper body can be unloaded to three sides, making this model from the ScaleART product line truly the perfect construction site vehicle. 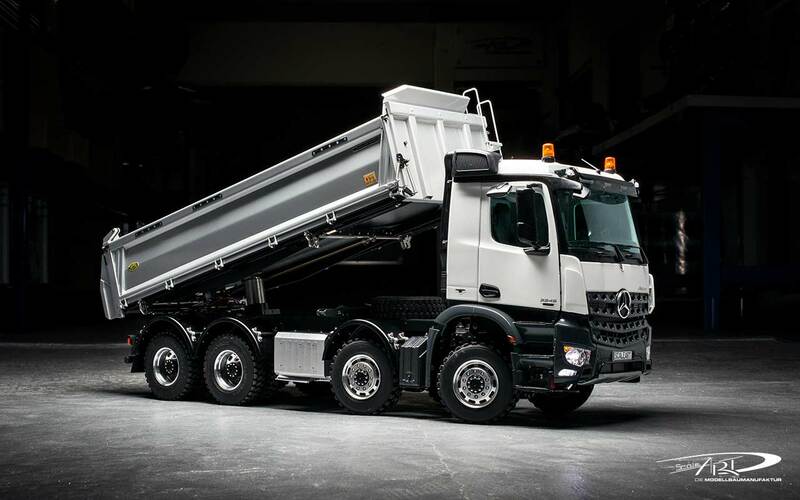 We are able to provide our customers with the type 9 for two-axle chassis, type D316 (M-Jet) for three-axle and type 421 for four-axle chassis thanks to our license partnership with Meiller. 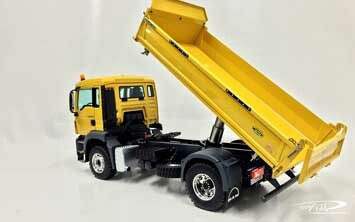 When making the ScaleART models from the product line for three-way tippers, we naturally attach great importance to the highest quality. All the bodies of the tippers are made from brass sheet metal using a high-quality CNC milling process. 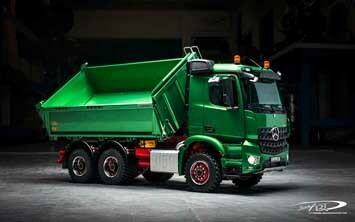 The metal has a thickness of 0.6 or 0.8 mm. 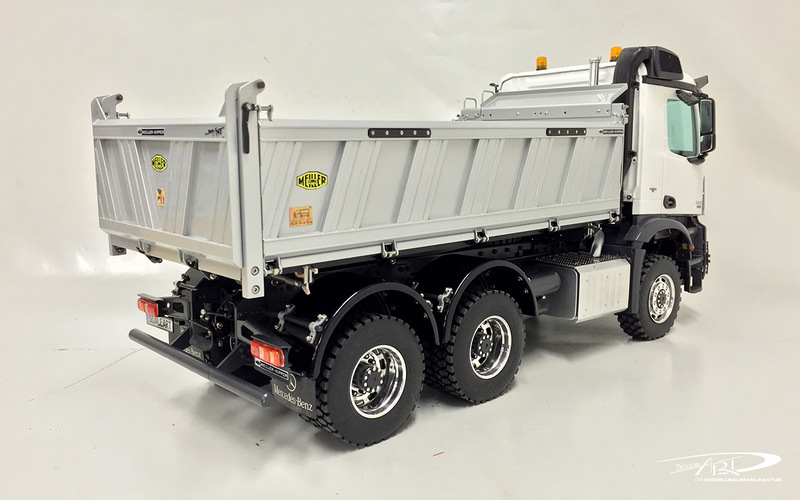 But that’s not all because the individual parts are manufactured with an eye for detail, making the ScaleART three-way tipper a real eye-catcher. Appearances are everything. 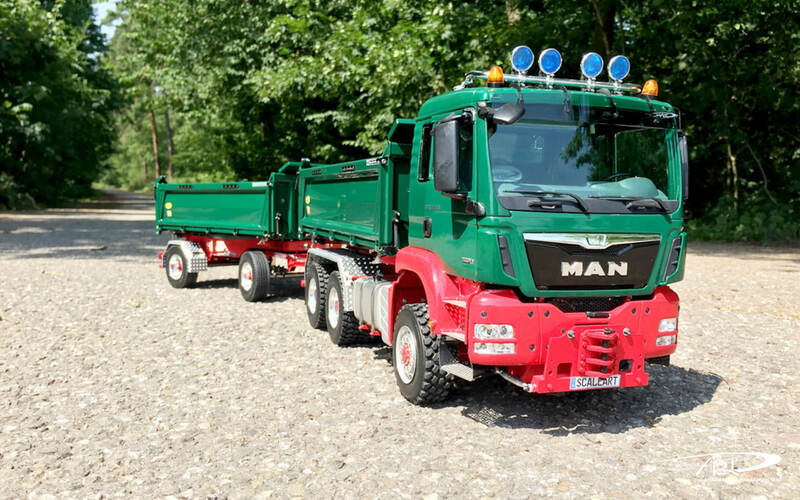 That’s why we put so much effort into the painting process. The three-way tipper receives a coat job consisting of three-layers. This comprises: The primer, the base coat and finally also the clear coat. 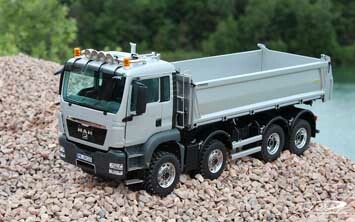 With regard to the paint, ScaleART customers can have their say. 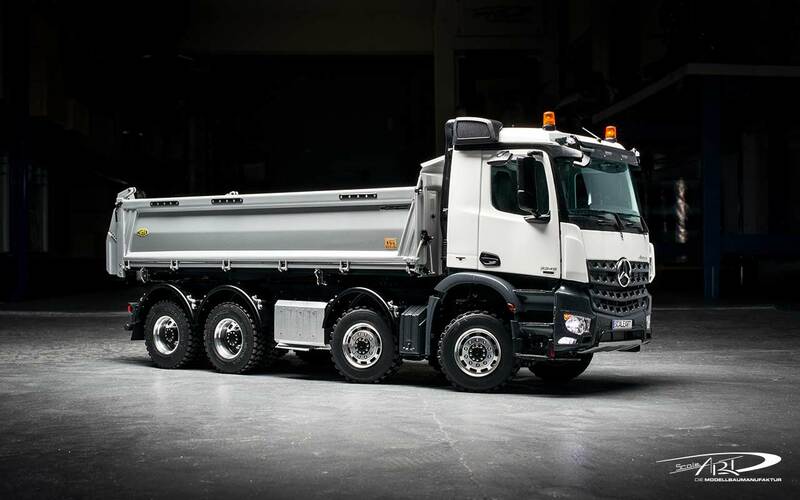 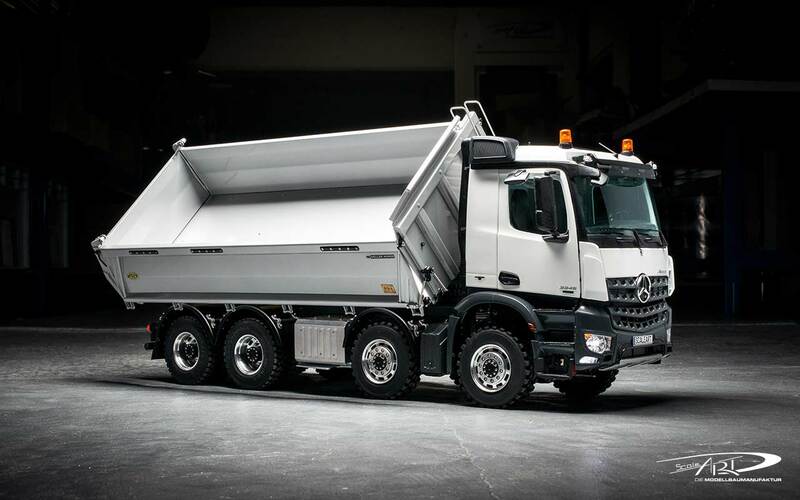 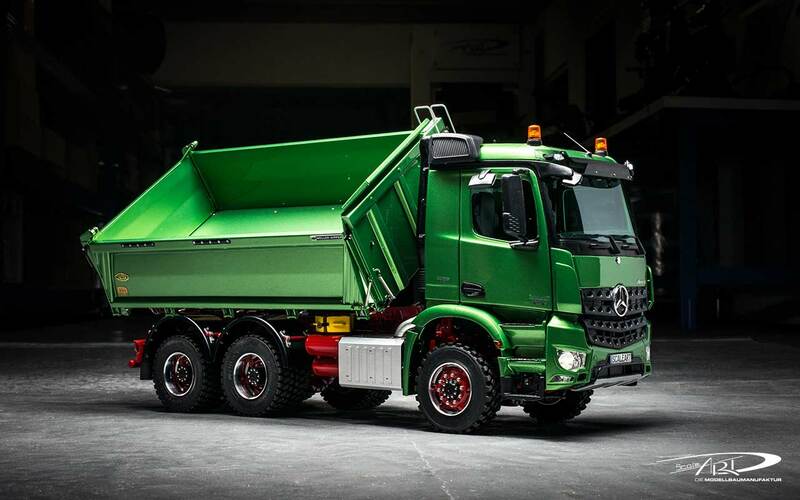 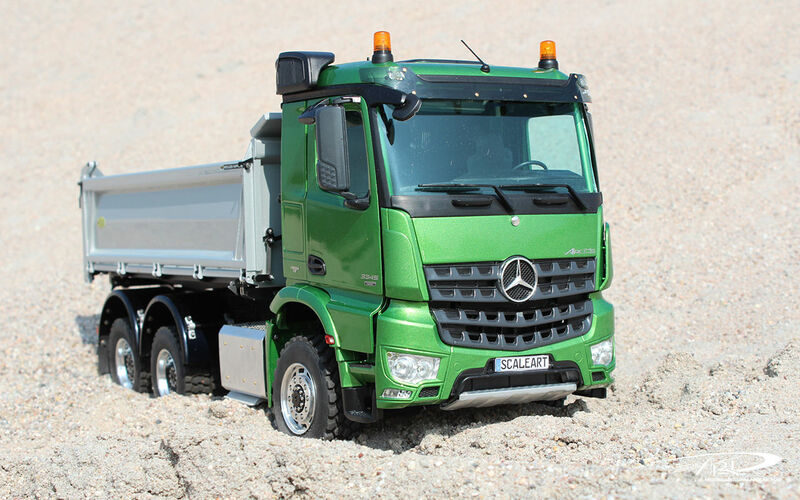 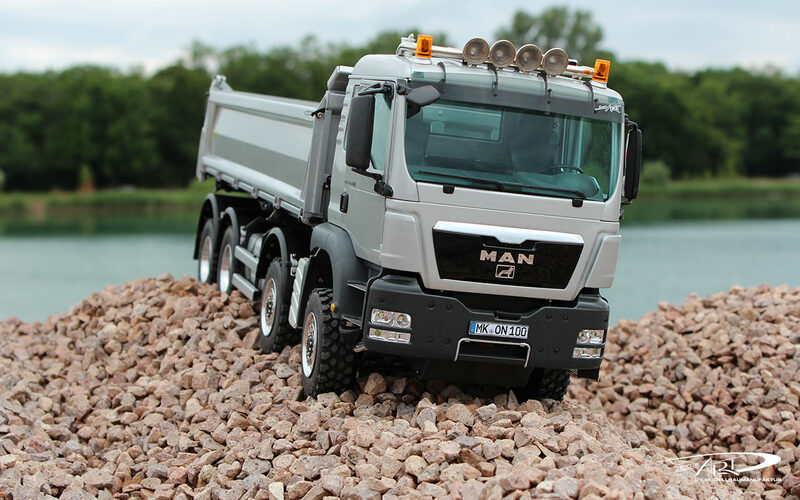 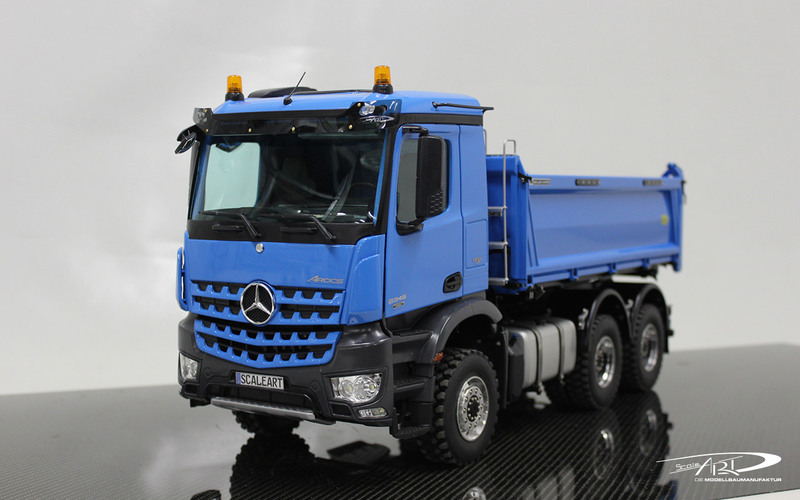 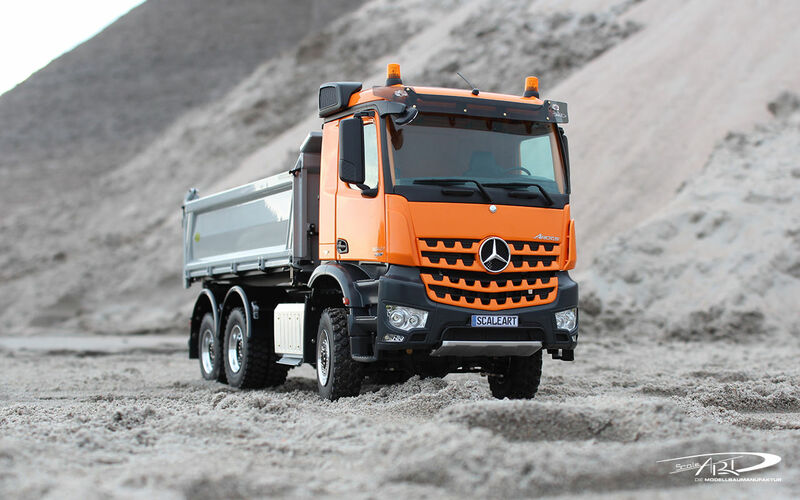 In this way, the three-way tipper becomes a detailed and individual model vehicle, which can offer first-rate transport for every customer. 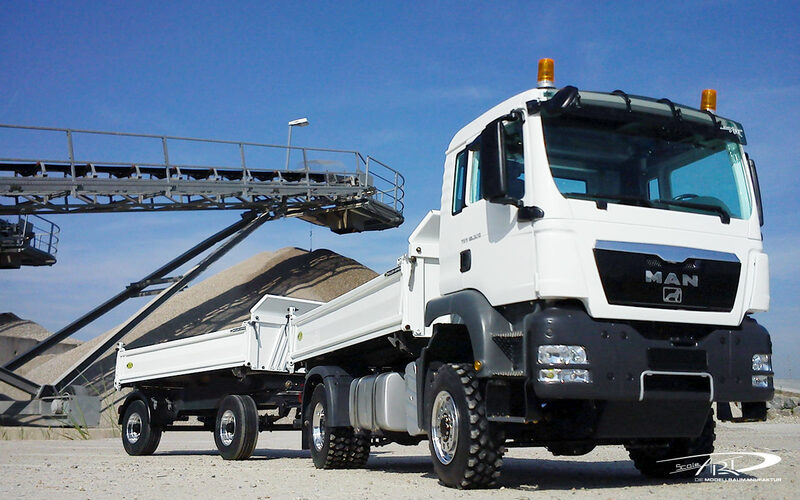 The high-quality tipper body withstands all types of loads for transport and offers customers plenty of joy. With this robust vehicle, even removing the most problematic loads is now child’s play because ScaleART presents its customers with the three-way tipper, a model that actually works efficiently. Hydraulic system from our in-house production, with approx. 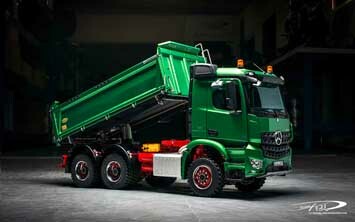 15 bar hydraulic pump in the vehicle tank and a three-gear telescopic stainless steel cylinder.